A book argues for a shared philosophy of love among thinkers of various religions. Chelvam (Living with Saints and Sages, 2012) was an ordained Roman Catholic priest in Sri Lanka before moving to New York and becoming an agnostic. Then, one morning in 1977, he felt the presence of his dead father in his fifth-floor walk-up apartment. His message: “I love you.” From there, Chelvam became a student of all religions, searching for this simple message of love at the center of them. In this volume, he discusses famous religious figures such as Krishna, Buddha, Christ, Muhammad, and St. Francis of Assisi as well as modern Indian gurus like Yogaswami, Ramana Maharshi, Paramahansa Yogananda, and Ammachi. He also provides chapters on the American mystic Peace Pilgrim and (most surprisingly) the American inventor George Washington Carver. With brief biographical sketches and analysis of quotes and Scriptures, Chelvam endeavors to expose the shared philosophy that existed between these figures, who preached not division and denominational loyalty but rather a belief in a universal love as the basis of all life. 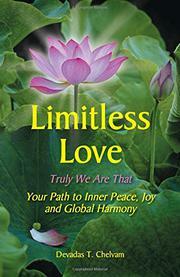 These sages, the author writes, realized what we all have the ability to grasp: “we need not look outside ourselves for love, since limitless love is our very nature.” Chelvam writes like a religion student, frequently returning to the stories and words associated with each figure to prove his points. There is much testimony to support his argument—the idea that love is at the center of every faith is not an original one—and yet his interpretation will not likely convince readers to abandon their own religious traditions. The book should be of most interest to those with New Age spiritualist sympathies. Its discussion of the various modern mystics from the subcontinent may introduce Western readers to new strands of Eastern thought. Furthermore, Chelvam’s confident prose and general positivity are undeniably attractive, rendering societal outliers as beings of great benevolence and wisdom. The reader may walk away from this book with a new (if temporary) optimism regarding the power of love. An intriguing case for the centrality of love in religion.